The film is about a girl in South Africa whose best friend is a lion named Charlie. The movie starts with Mia (De Villiers), a young girl who has been recently relocated from London to a South African farm her parents inherited from her grandfather. Here, she meets a white lion cub named Charlie, who grows to be her best friend. However, her parents fear that this unbreakable bond will become dangerous once he’s a full-grown lion. At its climax, the film emphasizes its negative view against trophy hunting and the incarceration of wild animals. De Villiers began acting at a young age, entering an acting competition with her sister in Los Angeles, which she ended up winning. From there, she knew that story-telling through acting was her main forte. She spent three years of her life filming “Mia and the White Lion” alongside a real lion, named Thor. The movie lacks CGI effects, surprisingly, as much of the film centers around this “wild-animal” and its bond with a girl. To control the lions and train them is the famed “Lion Whisperer” and wildcat preservationist Kevin Richardson. He explained the lion’s natural instincts and the meaning of their movements to De Villiers as filming progressed to ensure a feeling of safety. Richardson, who founded the Kevin Richardson Foundation, created the Land for Lions campaign and made De Villiers an ambassador. The funds secure land for sanctuary lions that have helped create a worldwide network of advocates for lions. As Thor grew older and as filming progressed, much of the crew had to be placed in filming cages as well, highlighting the actual danger that exists when dealing with wild animals. However, the movie still stands strong, advocating against trophy hunting and animal cruelty. For the future, De Villiers hopes to continue acting and learning to create more awareness on the plight of lions. 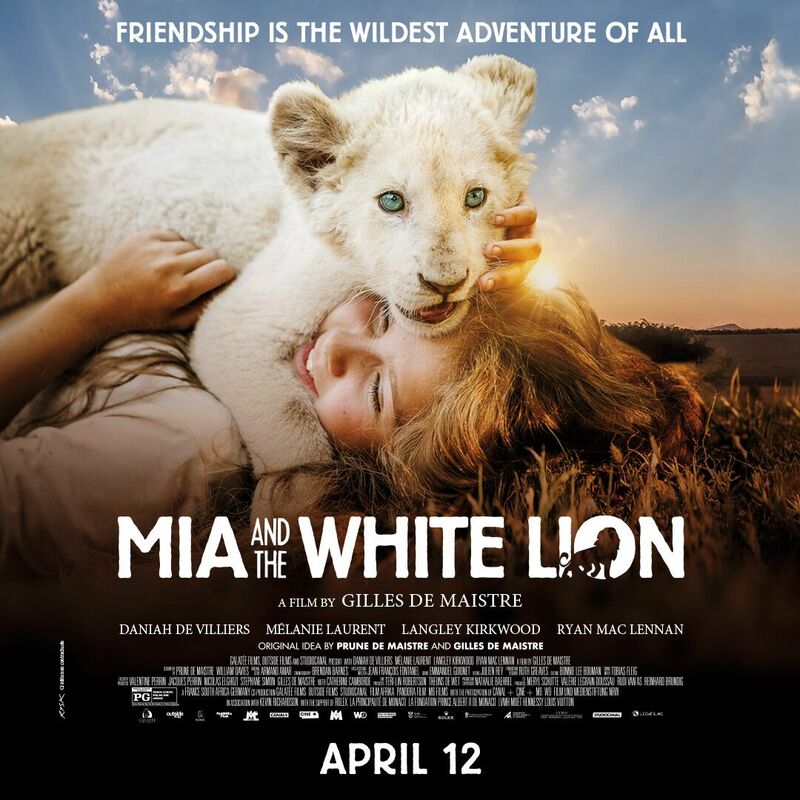 “Mia and the White Lion” opens in select theaters on today.